The focus groups are now concluded. Thanks to everyone who participated! 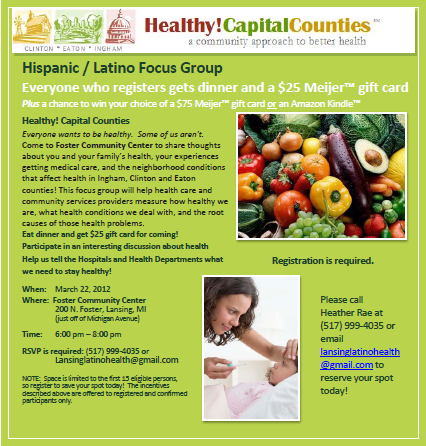 Your participation will help us to tell the story of real people trying to live healthy lives in our area!